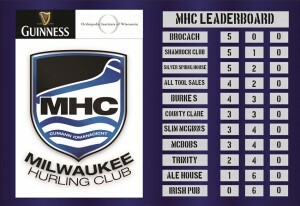 MHC WEEK 8 LEADERBOARD Week 8 of the Milwaukee Hurling Club League on Sunday brought a few movers up the top of the Leaderboard with two rounds left before the Playoffs. 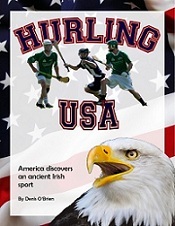 In the Podcast Milwaukee Hurling Club's Jack Harrold reports on the action from Brown Deer Park. Ahead of Week 8 today at Brown Deer Park in the Milwaukee Hurling Club League, we look back at Week 7's four games with a view to the upcoming Playoffs. In the Podcast, Seamus Sullivan reports on Sunday's action from Brisbane in the Queensland GAA League. Harps were hoping to seal early victory in Men's Division 2 Football, while Camogie leaders Eire Og were gunning for glory in the final round. After 12 weeks of competition in the eight-team St. Louis Hurling League, it came down to one game to decide the championship and it turned out to be a fitting finale. In the Podcast, Mike Hill reports on this year's thrilling hurling decider.